BSBC - A golden double for the Estonian boys from BSBC! Baltic Sea Basketball Cup ended in Tallinn, and both the U16 and the U17 Estonian boys’ team emerged victorious. It was quite the wait! 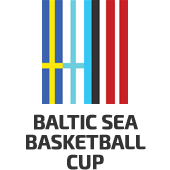 In the U18 class, which is the “royal class“ of BSBC, Estonia took the topp spot in 2004/2005, when Estonia took the win, edging out Finland. 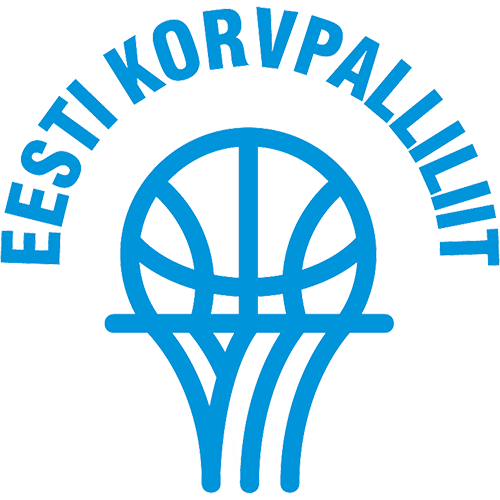 Our last win comes from the 2005/2006 season, where the roster contains many names still active in Estonian basketball. When Estonia had already secured their win in the U18 category, U16 still had their deciding game to win. Estonia had laid their foundation with two wins, but with Latvia at 1-1, it wasn't a sure thing yet. In the first match of the day, Finland had won over Sweden 85:76 and also had 2 wins now. Estonia had put their best foot forward against Finland and won 90:69 just the day before. In short: Estonia had a strong advantage, heading into the final game, but there was a chance to drop a spot as well. As it turned out, a slight hesitance was justified, as Latvia really came into their last game with a new fight. They were ahead by 20 at the most, which also made the final game our team's most challenging of the tournament. Both sides played a passionate, emotional game – as it should be. The crowded halls of Audentes witnessed a true show in two hours which can be characterized well by the scoreboard at different points in the game: from the Estonian side, 10:23 → 24:23 → 48:58 → 50:70 (beginning of the final quarter) → 77:76 → 87:87 (end of the 4th quarter) → 94:96. Estonia came back into the game twice, and in the last, from -20 in six minutes! In the last quarter, we brought 37 points, 21 of those from behind the 3pt line! An impressive comeback, no matter the overtime loss. A great show of character and persistance! Latvia won rebounds 45-36, 2pt accuracy 46% to 38%, Estonia edged forward with assists (18-11), turnovers (14-21), 3pt (36% vs 35%), freethrows (70% vs 69%). Ran-Andre Pehka led the Estonian statistics with 29pt (19/7, ft 8/7), Johannes Kirsipuu 13pt, Kerr Kriisa 13pt+3rb+6as, Kaspar Kitsing 11pt. The coaches selected Joonas Riismaa as the best player of the tournament, Ron-Andre Pehka became the U16 MVP. The coaches leading our U16 to the tournament win were Gert Prants, Priit Vene and Joosep Toome. Even though the U18 team of Estonia had already secured their first place, it was still important to end the tournament on a good note and show the gathered crowd the best basketball possible. The team we saw today is still searching for their game and their old team-mentality, but still finished with a solid 83:68 win over Latvia. Even though the second half was a bit rocky and on a couple of occasions, the lead had melted away to 4-6 points, the hosts never let their opponents get control over the game entirely and seemingly did as much as they needed to, no more, no less. Estonia started off calmly and controlledly, starting 10:0 and then 17:3, but loosened their grip slightly, winning the quarter 25:15. The teams headed into their half-time break with Estonia up 44:39, the game having leveled, but Estonia still in control. Towards the end, several players played key parts in keeping the spirits high and the energy on court – Henri Drell came on with a new fire, Sander Raieste brought his in two donks, Hugo Erkmaa hit some important well-timed shots and Matthias Tass controlled the rebounds, also bringing points. All's well that ends well! This year's team is without a doubt a strong one, but there are also quite a few strong personalities and only one ball... Work awaits to bring everyone on the same page, speaking the same language. We congratulate the coaching staff (Vaido Rego, Indrek Reinbok, Gert Kullamäe and Martin Rausberg) as well as the team on this strong start though! The rebounds were at a tie, 29-29, Estonia won assists 18-8 and steals 12-8, but made 18 turnovers against Latvian 17. Accuracy wise, Estonia won 2pt, 64% to 40%, and freethrows, 73% vs 58%, but Latvia edged forward in 3pt, 39% to 39%. Matthias Tass brought Estonia 23pt+11rb+3st, Hugo Erkmaa 13pt+5as, Kristian Kullamäe 11pt+4rb+4as. Erki Kuhi was elected as the best of the tournament and the Matthias Tass as the solid MVP of the age group.